The Indian real estate sector is gearing up for Gudi Padwa which is one of the most auspicious festivals in the country and particularly in the state of Maharashtra. This has always been a favoured time for real estate investments in the country. Sales volumes for real estate have been seen to increase during Gudi Padwa and several real estate developers are looking to cash in on positive sentiments this year with special offers, discounts and other buying schemes. Gudi Padwa was not such a booming affair last year due to various factors impacting the real estate market in the country. However, things could be very different this year since the Government has come out with multiple incentives this year by way of the Union Budget 2019-20. These include zero taxes on personal income up to Rs. 5 lakhs, capital gains exemption for two homes up to Rs. 2 crore once in a lifetime, zero taxes on notional rent assumption on self-occupied second homes and increase in TDS threshold to Rs. 2.4 lakh from Rs. 1.8 lakh on rental income. The PMAY (Pradhan Mantri Awas Yojana) has been a game changer for the affordable housing segment with its interest subsidies and other benefits. Additionally, the GST Council has recently slashed GST rates to 5% from 12% on under construction property and from 8% to 1% on affordable housing units. Home loan interest rates have also been reduced by several Indian banks after the RBI (Reserve Bank of India) lowered repo rates. 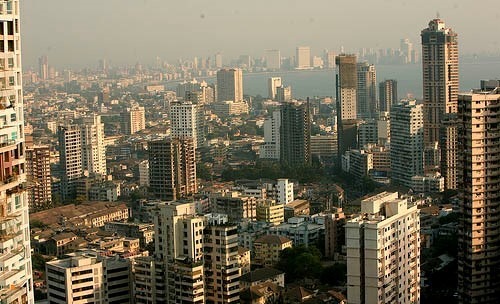 As per reports, sales figures have already been steadily reviving throughout India’s top seven cities and Gudi Padwa comes at a time when market sentiments are hugely positive and the impact of the upcoming Lok Sabha elections are unlikely to be felt by the real estate sector in terms of an increasing number of fence sitters and lower transaction volumes. Real estate developers are gearing up to sell housing units in larger numbers on Gudi Padwa 2019. According to reports, close to 49,790 housing units were sold in the first quarter of 2018 and this year sales figures should go up by a minimum of 10-12% for the same period under construction. However, the sales volumes for the first quarter had come down to 46,000 units for the first quarter of 2017 from 90,000 units in the first quarter of 2015 as per reports. Residential real estate markets across the country are however seeing renewed interest and this Gudi Padwa, real estate developers are preparing to cash in on consumer sentiments by launching projects at comparatively reasonable prices and with attractive offers to boot. The real estate market is now in a more mature and balanced state. Consumer sentiments are positive with recent developments and also the impact of government measures like GST and RERA which have cleaned up and transformed the realty sector. Developer accountability and buyer safety have both increased considerably and this has made the sector more attractive for investors and end users alike. The recent measures taken by the Central Government promise to uplift sales figures in the near future for real estate developers. Experts feel that real estate developers will be able to clear out unsold inventory to a large extent while driving higher sales volumes for projects that have just been launched. Home sales figures should increase throughout key Indian cities on the auspicious occasion of Gudi Padwa. Real estate developers are already planning to promote new launches on Gudi Padwa and these are expected to cater to a larger number of buyers. Customers are being attracted with special offers, discounts, maintenance schemes, memberships of clubs/hotels, gold coins, premium fittings and GST offers as per reports. Gudi Padwa this year should see the real estate sector make a comeback backed by favourable market sentiments and Government measures along with a higher choice of units available across micro markets. Several first-time buyers may purchase homes in this period, buoyed by lower GST and PMAY incentives. Affordable housing is likely to once again be the major growth driver for the residential real estate sector in this period as per experts. Many developers are also rebranding and revamping existing residential projects with new payment and other schemes to draw more customers. 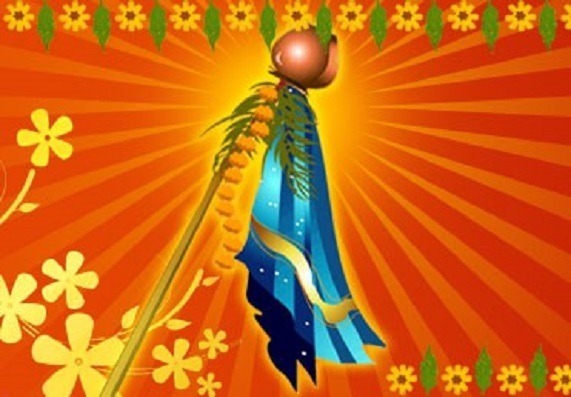 The Gudi Padwa festival is always considered highly auspicious for buying property and it is considered to be a period of new beginnings as per reports, coinciding with Puthandu in Tamil Nadu, Baisakhi in Punjab, Vishu in Kerala and Yugadi in Andhra Pradesh. Gudi Padwa 2019 should be positive for Indian real estate, going by the recent market trends, sops from the Government, cut in repo rates by the RBI and increasing sales figures. Maharashtra may also witness higher sales in particular since Gudi Padwa is a big festival here and the State Government has recently unveiled a slew of infrastructural initiatives and projects that will naturally boost the residential real estate market as well. Additionally, Chief Minister of Maharashtra, Devendra Fadnavis has recently decided to retain the earlier Ready Reckoner rates without increasing them. This will be a major incentive for homebuyers this Gudi Padwa and give them some relief. The FSI purchase, property tax and stamp duty rates have also been kept the same. This comes as a big gift to people in Maharashtra and should lead to higher real estate figures due to Gudi Padwa. Real estate developers in Mumbai, Pune and other parts of the State are gearing up accordingly for higher sales figures and renewed customer interest. All in all, Gudi Padwa 2019 promises to be a good time for the Indian real estate sector in terms of higher sales volumes for new launches and reduction of unsold inventory alike.